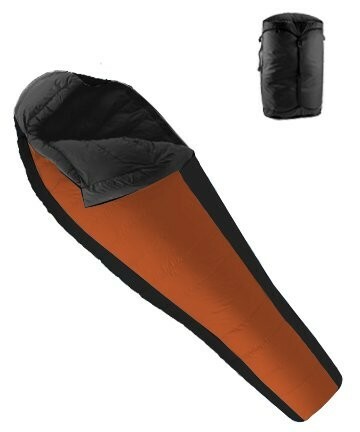 Yanes Nordic Sleeping Bag ~ 90" x 35/23" This mummy style sleeping bag is 90" long, has a width of 35"/23" (shoulder/foot) and weights 2.6 kgs. Features include a draft tube, draft collar, anti-snag zipper tape and a sculptured hood with top cord and a Velcro closure. The outer shell is made of water resistant Diamond Rip-stop polyester, insulating fill is Resolute Micro-Fibre Plus and the inner lining is 100% polyester. A cap style compression bag is included. This sleeping bag is rated to -15 C. It has a five year guarantee.